Required courses that are offered at your current campus will need to be completed by the close of spring term prior to fall enrollment at UC Davis. 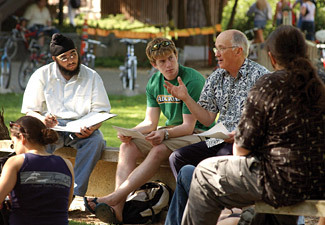 If required courses will not be offered at your college, you must complete them after enrolling at UC Davis. You can find California community college courses that are comparable to UC Davis courses using ASSIST. UC Davis Transfer Admission Guarantee (TAG) requirements for selective majors are shown alongside preparatory coursework requirements. You must earn an overall transfer GPA of 2.80 or higher to be a competitive candidate for admission to any selective majors in the College of Letters and Science. Courses must be taken for a letter grade, with no grade less than C (Advanced Placement (AP) or International Baccalaureate (IB) Higher Level examinations may satisfy UC Davis course equivalents.). Achieve a minimum overall GPA of 3.20 from the time your TAG is submitted, up to the time of enrollment. Achieve the minimum required GPAs in any courses that have been completed at the time the TAG application is submitted. Complete UC transfer requirements in the areas of English composition (2 courses) and mathematics (1 course) by the end of fall term 2018. Beginning in fall 2021, Computer Science applicants will also need to complete ENG CS/ECS 36B. This course will be part of the ENG CS/ECS course group and included in calculation of the 3.40 GPA required for the group. NOTE: A new Engineering Computer Science series (ENG CS/ECS 36A/B/C) will be replacing ENG CS/ECS 30, 40 and 60 courses, and ENG CS 10 will be replaced by a new course, ENG CS 32A respectively, beginning with the 2018 academic year. Courses offered at CCCs with existing articulation to ENG CS/ECS 30, 40 and 60 will be honored for the next three academic years (2018-19, 2019-20, and 2020-21). Although only one biological sciences course is required for admission, students interested in pursuing a B.S. degree with emphasis in biology are encouraged to complete the recommended courses shown on ASSIST. Candidates must complete courses comparable to the following UC Davis courses with a GPA of at least 3.00 for the course groups. Additionally, candidates must have already achieved required GPAs in any of these courses that have been completed at the time the transfer academic update is submitted. * Information for future selective majors is subject to change. Complete UC transfer requirements in the areas of English composition (2 courses) and mathematics (1 course) by the end of fall term preceding your intended UC Davis enrollment.